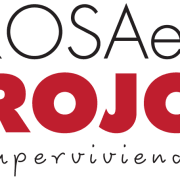 Rosa Es Rojo, Inc. makes wellness and cancer prevention accessible for the Latino women in America, starting in North Texas, by training them on the topics of nutrition, physical activity, emotional health, and positive thinking. Our signature 6-month wellness program, "The Rojo Way" is shared 100% in Spanish by 4 on-site workshops, 4 one-on-one support sessions, and technological support. The concept behind "The Rojo Way" is innovative. It has been designed using the Accelerated Learning (AL) Methodology, based on how we naturally learn. We are focusing on women due to the potential reach that Latino women have among their families and communities. The effects of a positive and healthy outlook on life are contagious and go beyond matters of health. We want our participants to feel empowered enough to make conscious health decisions. We have reached more than 420 women directly and 1,600 people indirectly equivalent to more than 4,500 hours of training. Would you recommend ROSA ES ROJO INC?